INXY – dedicated servers, CDN, cloud solutions: When should I upgrade from VPS to a dedicated server? When should I upgrade from VPS to a dedicated server? 1. Better speed, reliability and uptime. The best hosting provides ensure 99.999% uptime, so your website will be always available for users. So if you want your business to be more stable and reliable, a dedicated server is definitely worth buying. 2. Opportunity to run heavy software and applications. If you are going to build up your website, add new pages and a lot of content (especially videos and images), a dedicated server will be the most optimal solution. It provides enough resources and makes you independent from other users and their websites. 3. Better control over your server. Root access is not available for all VPS solutions. If you want to fully customize your server and hosting, you can order a dedicated server and specify its settings as you wish. Besides, you will be able to install and run any software you need for achieving your goals. 4. Hosting of several websites. Theoretically, dedicated server allows hosting as many websites as you want (although some companies still limit the amount of domains, its number will be high). Using Web Host Manager, you can give clients access via their own cPanels, but the account of your dedicated server will be under your control. 5. 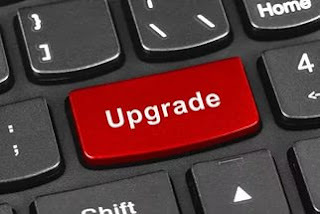 Success of your project is the main reason to upgrade. The more your business develops, the more traffic your need to handle. To meet the requirements of your visitors and expand space for development, you need to have a flexible and powerful solution. This is why a dedicated server is a must for advanced website creators. If you are going to launch a marketing campaign and expand your audience, it’s high time to switch to a dedicated server!